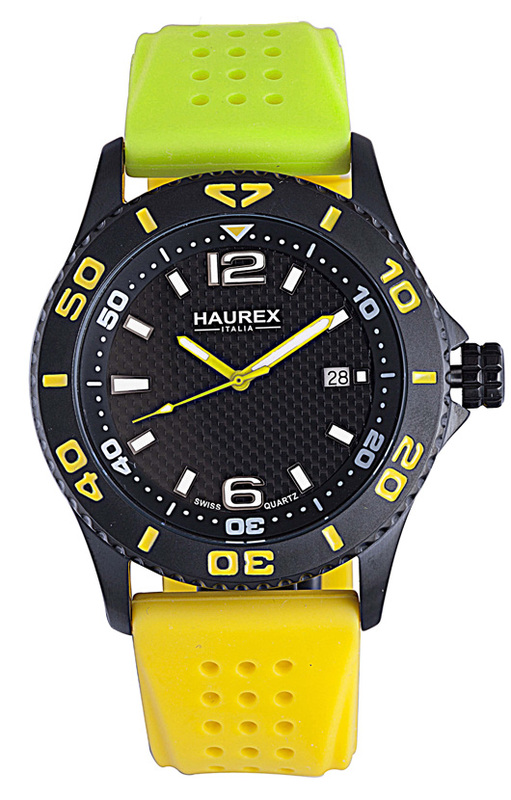 Haurex has a reputation for taking the best of Italian design and making it affordable and fun. That’s one of the reasons why this young Italian watchmaker has quickly become a favorite with frugal fashionistas around the world. 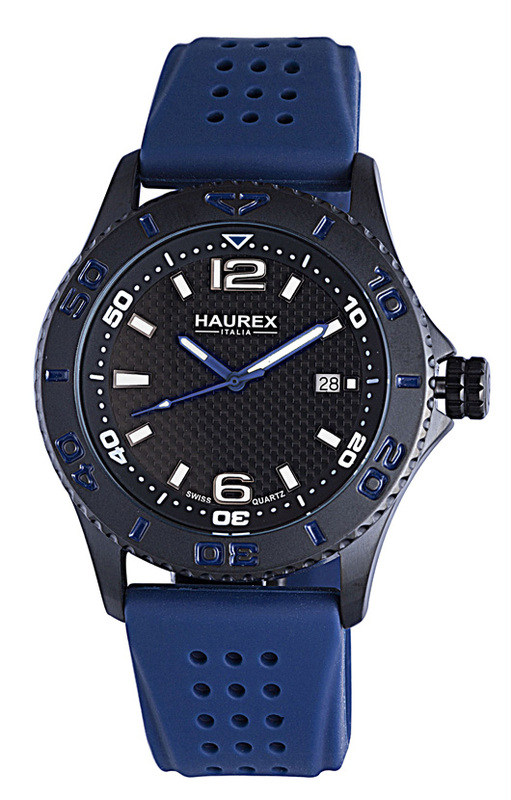 By using innovative new materials and manufacturing techniques, Haurex has been able to create uniquely stylish timepieces of exceptional value. 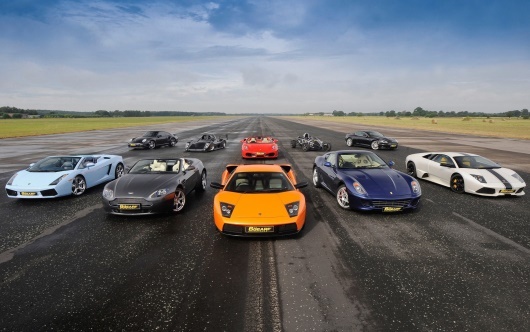 The new Haurex Factor provides a perfect example of why this strategy has been so successful. 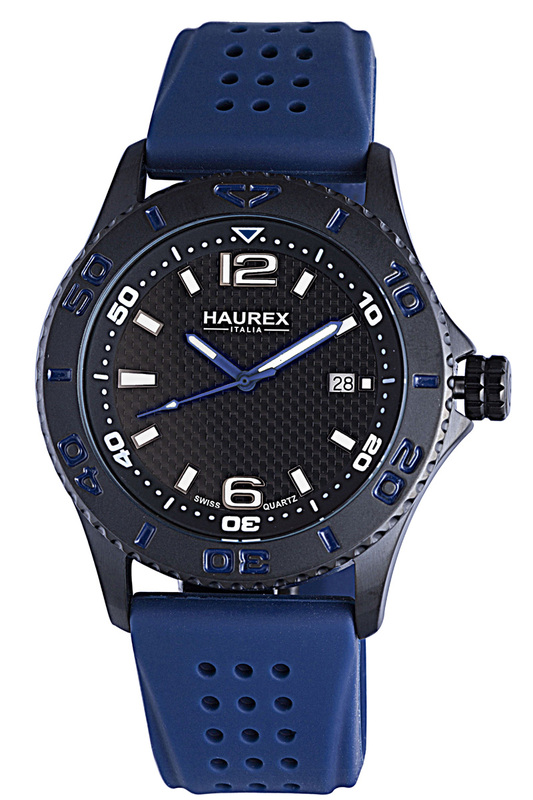 This big, bold 44 mm men’s timepiece looks like something an Italian racing champion might wear. 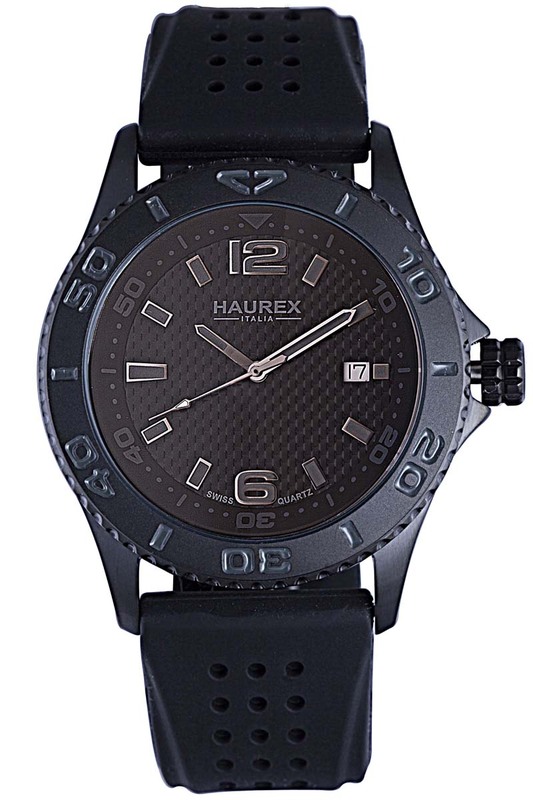 With it’s high-end carbon fiber patterned dial, black IP coated stainless steel case, and unidirectional rotating bezel, the Factor has the look and feel of a watch priced hundreds of dollars higher than it’s extremely competitive price point. 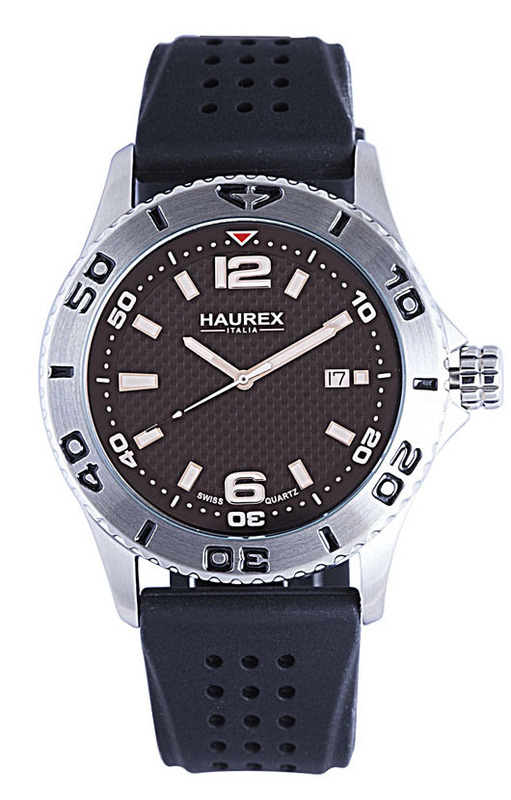 Like all Haurex timepieces, the Factor has been manufactured using the finest quality materials and old-world craftsmanship to create a uniquely stylish statement on your wrist. 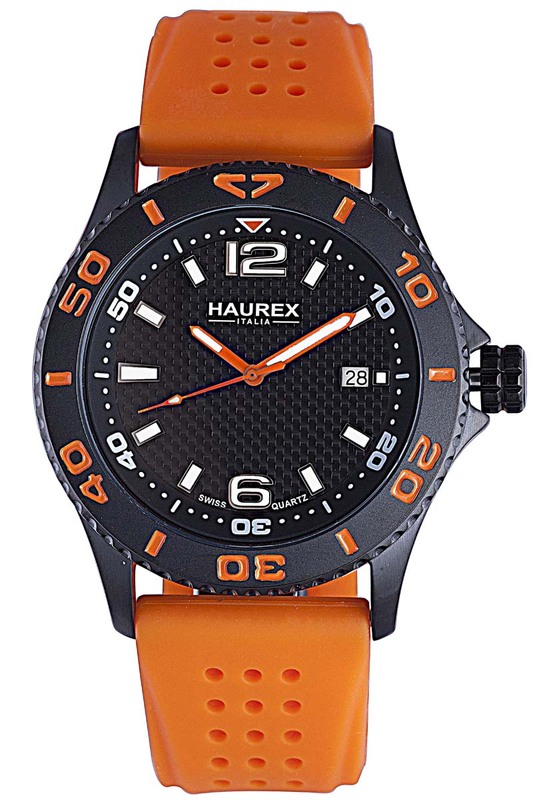 Equipped with a stainless steel bracelet or comfortable black, red, or orange rubber strap, this handsome, oversized sports watch has the style and appeal of an expensive aviation or diver timepiece. 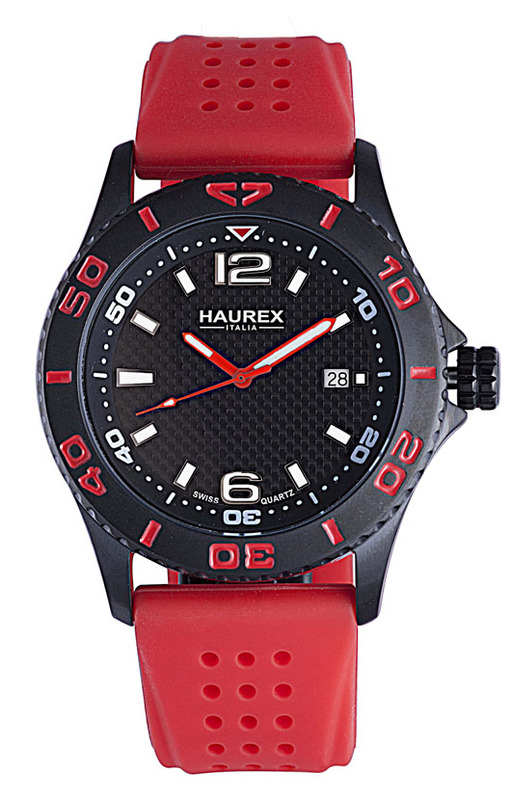 The Factor is powered by a precision Swiss-made quartz movement and is water resistant to 165 feet. 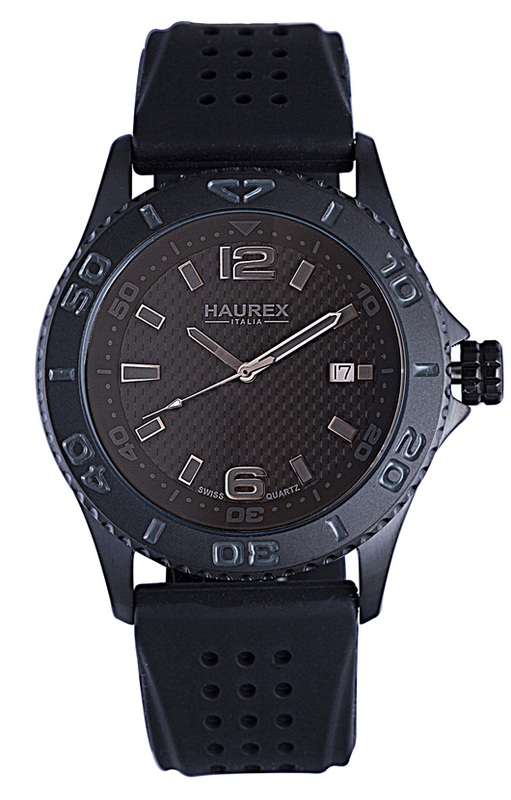 The black carbon fiber style dial is protected by a durable mineral glass crystal and features an easy-to-read three-hand configuration with raised indices and a convenient date window at 3 o’clock. 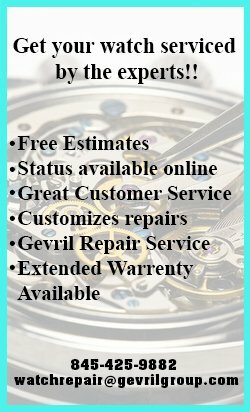 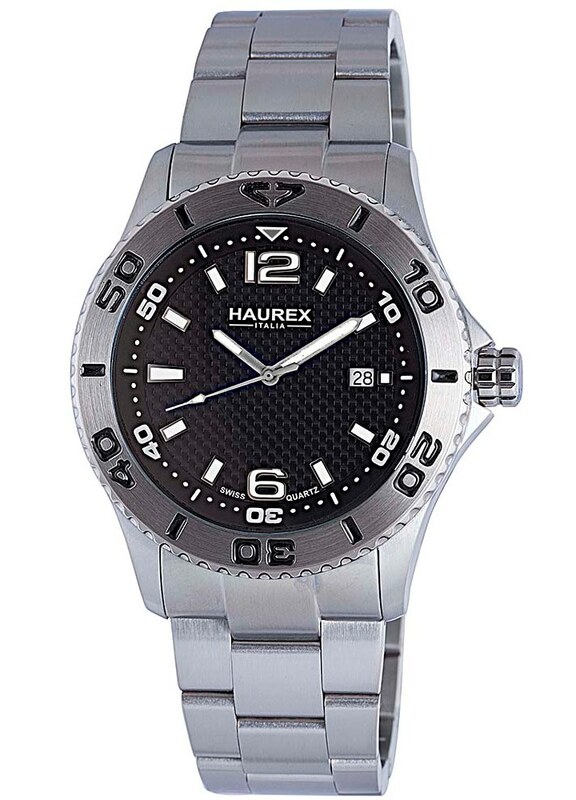 The handy unidirectional rotating bezel surrounding the handsome dial is clearly marked in five-minute increments for timing events. 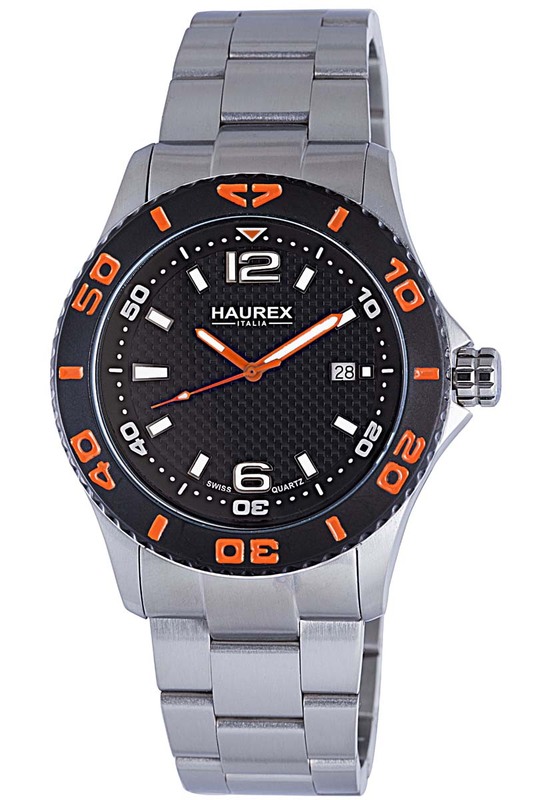 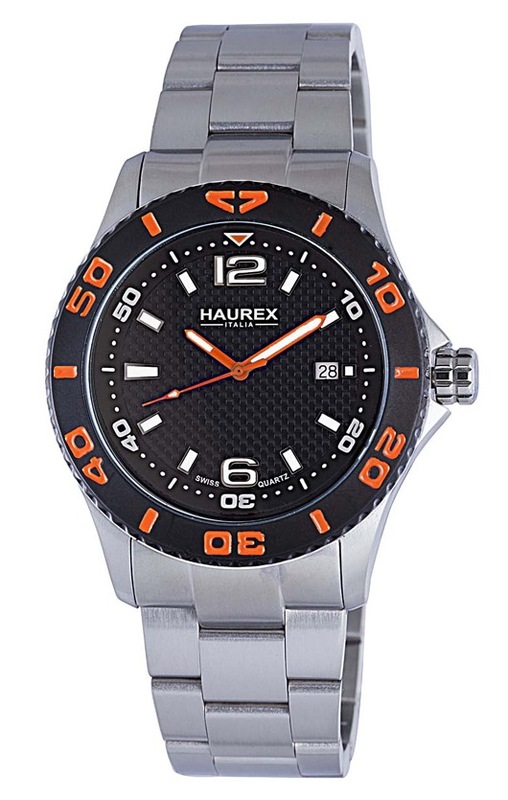 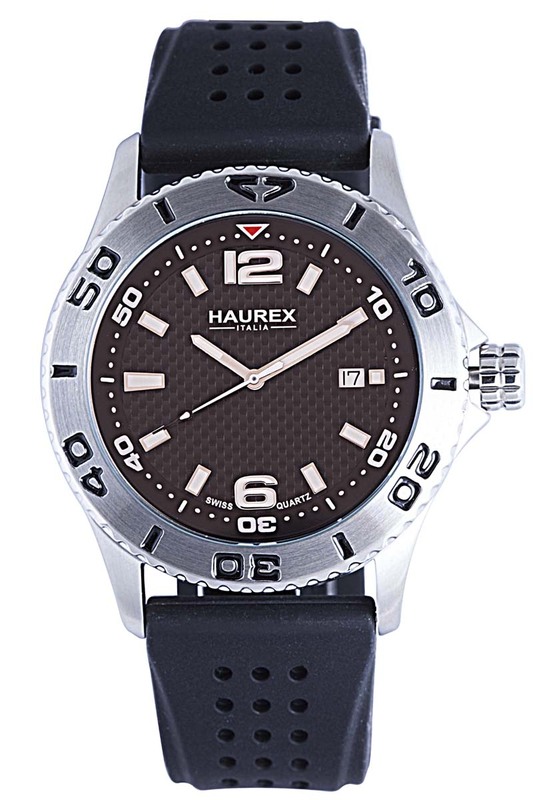 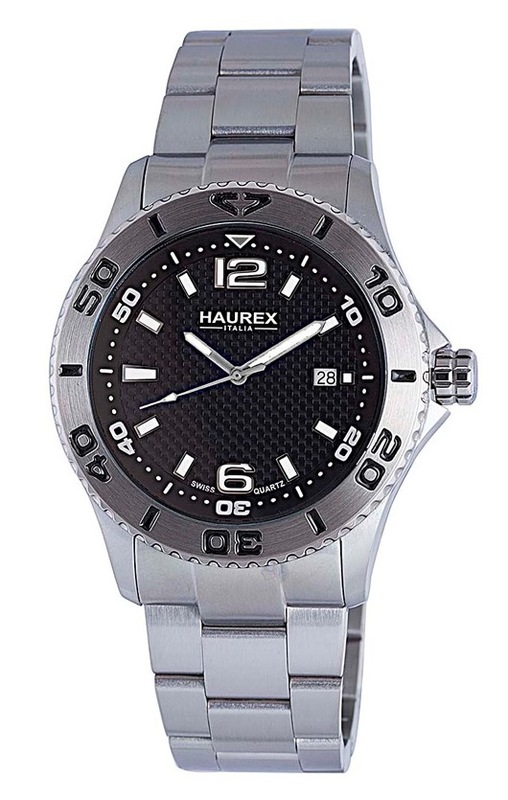 The big, bold, masculine look of the Haurex Factor is sure to appeal to someone on your holiday gift list. 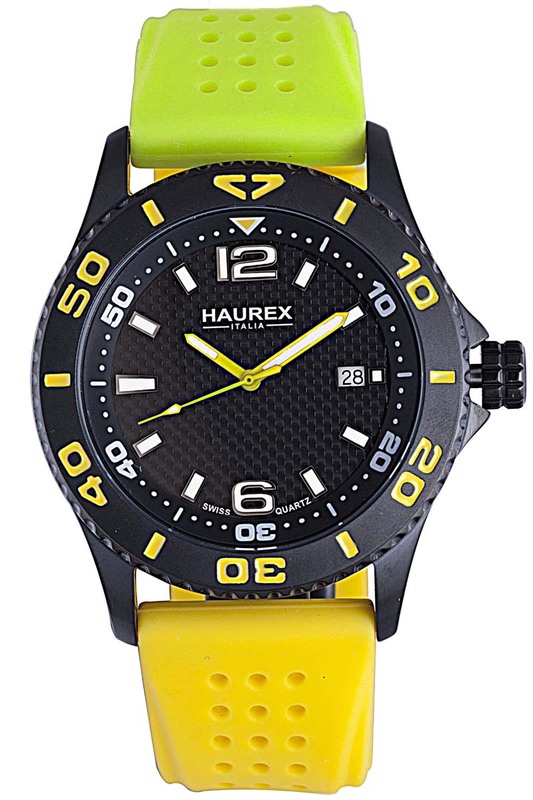 If you’d like to give this fabulous timepiece to a special man or see what the Haurex Factor looks like on your own wrist, just pick your favorite color combination and contact your authorized Haurex dealer immediately.